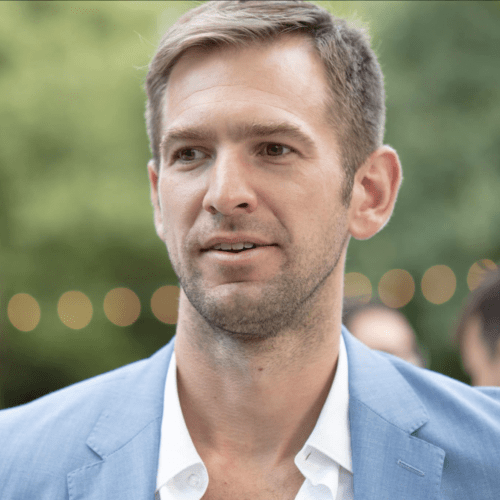 Since 2006, Drew Porterfield has served as the curator and director of Long View Gallery. He has grown the gallery's representation to include approximately forty of the nation's leading contemporary artists, and he has led the gallery's evolution into Washington, DC's largest fine art gallery. He has also become a leading consultant on corporate art placement, having sold and installed art to major national retailers, law firms, hospitals, consulting firms, and developers. Drew's art education began in the mountains of North Carolina studying traditional photographic techniques. After earning a minor in photography at the University of North Carolina at Appalachian, he practiced freelance photography for several years while teaching math at a public high school in central North Carolina. In 2004, he continued his advanced degree studies at Parsons the NewSchool for Design. At Parsons, Drew expanded and refined his craft to incorporate digital photography with his own unique arduous, hands-on process of physically weaving images together. His work has been shown in North Carolina, New York, Maryland, and the District of Columbia. While in New York, Drew worked for several contemporary art galleries, including The Edward Carter Gallery and Flowers Gallery. Drew resides in the historic Shaw neighborhood of Washington, DC, with his husband, Ralph Brabham. He is an owner of the Beau Thai restaurants, where he can often be found when not at the gallery. He is a world traveler, an aspiring chef, a CrossFit devotee, and a loyal dog owner to his boxer-beagle mutts, Walker and Sadie. Suzi Molak is events director at the new Long View Gallery, where clients capitalize on her dynamic background and long list of successes in the art and events industry. Suzi brings to Long View a unique perspective gained through years of high-profile activity in New York City. After an education in art history, Suzi spent over three years leading a world-renowned Italian art glass company to establish its presence in US markets. Her efforts brought the company to limelight through a PR and events campaign that included collaborations with Fashion Rocks NYC and the Lincoln Center Lifetime Achievement in Film awards. With that success freshly on her heels, Suzi's next endeavor brought a new gallery to the famed SOHO art district in NYC, where her creativity and leadership took the upstart from pre-construction planning to flourishing success. Never slowing down, Suzi relocated to DC in 2007, and began helping individual and corporate clients with unique event ideas and planning. Through these pursuits, it quickly became clear that the DC area was missing something so many of her clients and others desired - a modern venue for exciting, inspired events. Suzi's vision now joined with that of the team to proudly bring DC the new Long View Gallery. Siobhan Gavagan manages Long View Gallery's art consultancy with a focus on exposing new artists to commercial and trade accounts, including interior designers, architects and contract furnishings buyers. Siobhan recognizes that every corporate art or interior design project requires special attention and specializes in fulfilling each client's interest and budget. Utilizing creative resources from around the globe, Siobhan manages the process seeking out diverse artists and adding them to our growing portfolio. In addition to art, she also assists with custom framing options and brings a fresh creative approach to each environment. 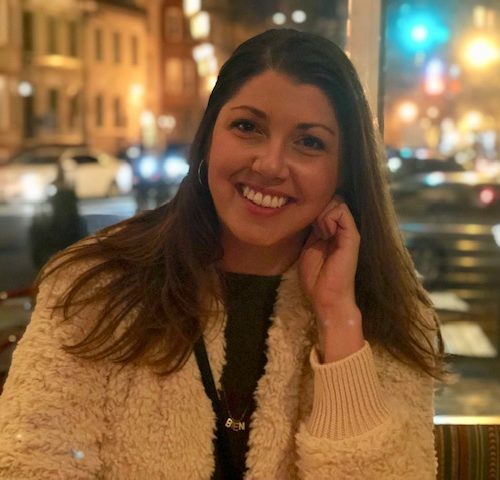 Siobhan's previous experience in sales and consulting includes being assistant director of Susan Calloway Fine Arts Gallery in Georgetown and as former gallery manger for Zenith Gallery in downtown DC. She is a graduate of George Mason University with a BA in Art and Visual Technology, concentration in Painting. Michele Rettig is the Event Manager at Long View Gallery where she coordinates the day-of event details and manages vendor-gallery relations. Michele is a graduate of the University of California, Santa Cruz with a B.A. in international economics. She got her start in the hospitality industry while attending culinary school and has worked for notable hotels such as San Ysidro Ranch and The Biltmore, Santa Barbara. She has overseen a wide variety of events ranging from intimate weddings to Inaugural balls and corporate galas. Before working at Long View Gallery Michele worked with the Wildlife Conservation Society in New York City where she planned events for the New York City Zoos and Aquarium. Prior to that she coordinated events at the Andrew Mellon Auditorium in Washington D.C.